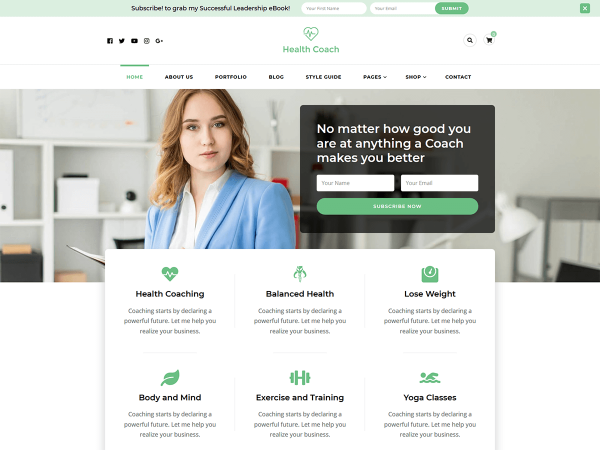 Blossom Health Coach is a child theme of Blossom Coach free WordPress theme dedicated to health coaches, mentors, life coaches, and influencers. Blossom Health Coach is a fully responsive, and easy-to-use theme that helps you create a highly converting website. Fashion Stylist is a child theme of Blossom Fashion Free WordPress theme for creating a trendy feminine blog for free. Fashion Stylist looks absolutely stunning and is intuitive to use. Blossom PinThis is a child theme of Blossom Pin Free WordPress Theme. The theme helps you easily create a Pinterest like website in no time without writing a single line of code. 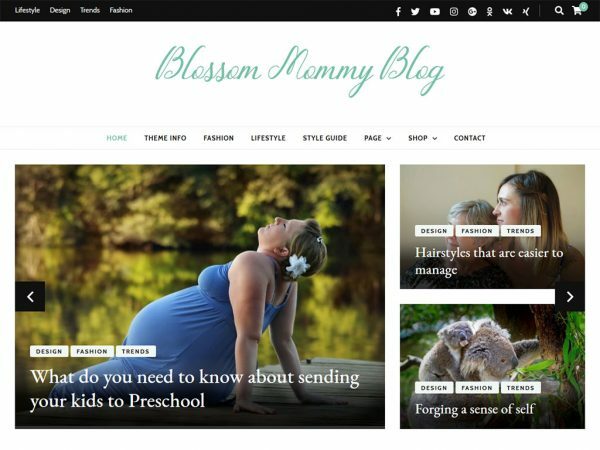 Blossom Mommy Blog is a child theme of Blossom Feminine for quickly creating the best mom blog for free. 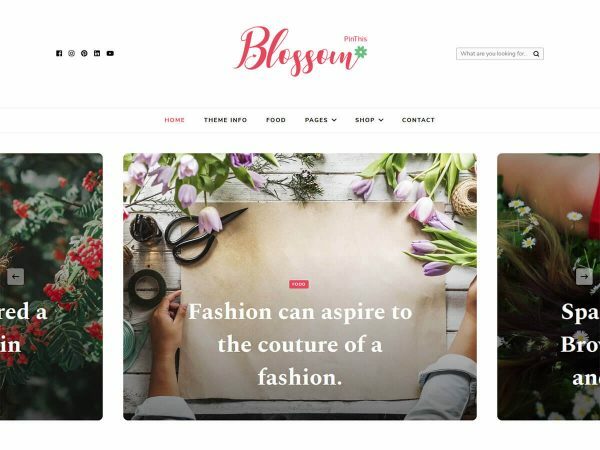 Blossom Mommy Blog is a pretty, clean, free feminine WordPress theme that will help you create a stunning mobile-friendly mom blog without writing a single line of code. Life Coach is a child theme of Blossom Coach free WordPress theme designed for mentors, life coaches, and influencers. 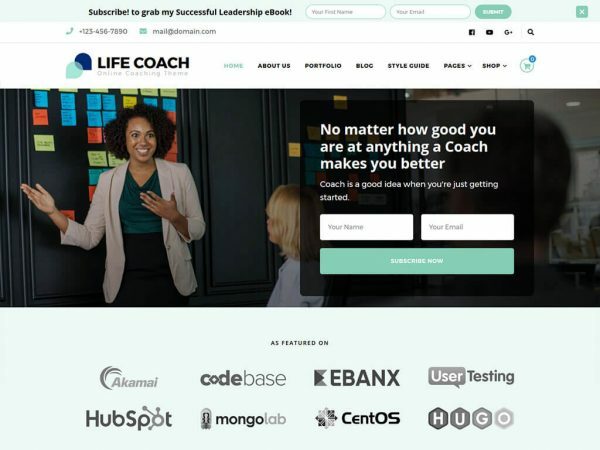 Life Coach features a highly converting landing page design with the strategically placed contact form, newsletter form, and call to action button. Fashion Lifestyle is a child theme of Blossom Fashion. 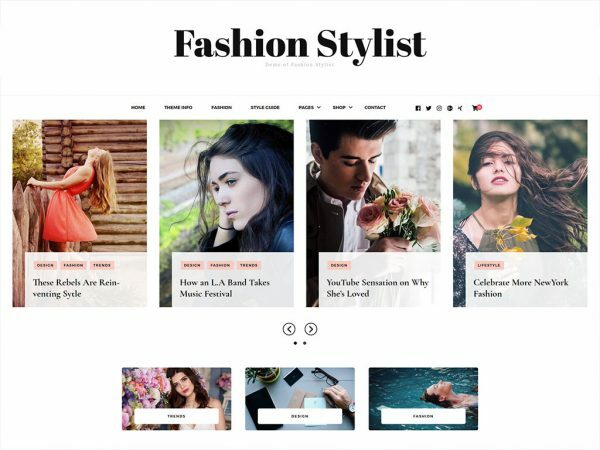 Fashion Lifestyle is a stylish, chic free WordPress theme for stylist lifestyle bloggers. 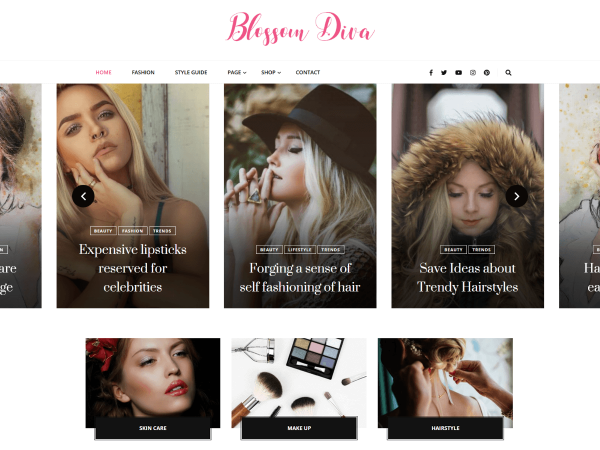 Blossom Diva is a child theme of Blossom Feminine Free WordPress theme. 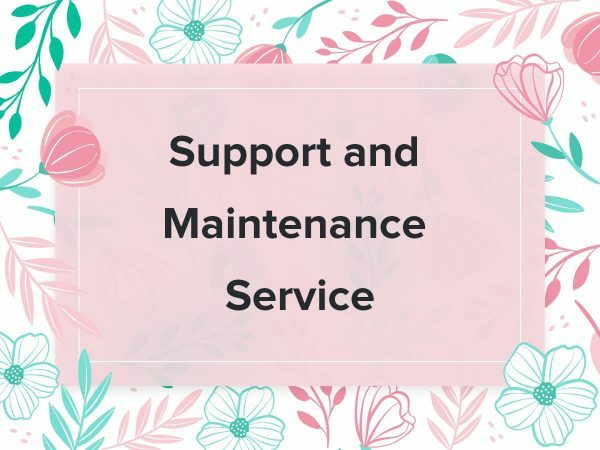 You can create a visually appealing, stunning and lively feminine blog without writing a single line of code using this theme. The theme can be a perfect choice for creating a gorgeous blog to share your expert tips on topics like fashion, beauty, makeup, recipe, wedding or any other creative topic. Fashion Icon is a free child theme of Blossom Fashion that helps you become the icon of the fashion world. Fashion Icon is a free feminine blogging theme for fashion enthusiasts and fashionista. 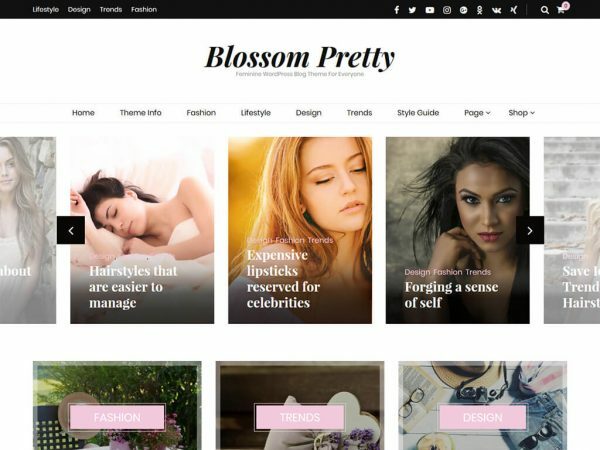 Blossom Pretty WordPress theme is a child theme of Blossom Feminine free theme for aspiring female bloggers! With Blossom Pretty, you can create a pretty blog without writing a single line of code. 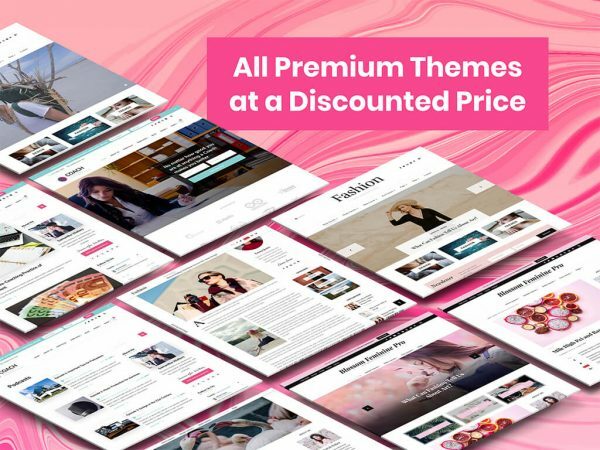 And, this pretty chic WordPress theme won’t cost you a dime, for real! So, go ahead and create a lifestyle, beauty, or a fashion blog with this fully-responsive, super-fast, and SEO-friendly WordPress template. 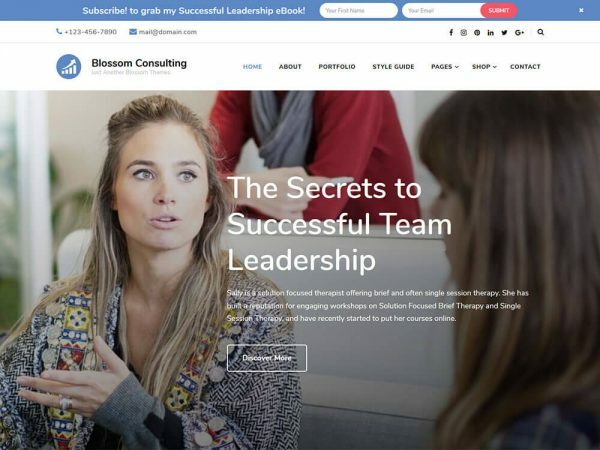 Blossom Consulting is a free WordPress theme designed to create websites for consultants and consulting companies, coach, mentors, speakers and therapists. You can easily use this theme to create a stunning website without any knowledge of coding. The theme is designed with features that highlight you and yours services that will help to improve your newsletter subscription and your business following.